With advancements in technology, manufacturers are coming up with better tools each day. 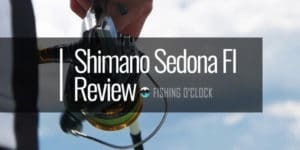 In the spinning reel industry, manufacturers such as Shimano have been able to specialize their products so that they fit the ever increasing wants of the consumers. As such, it is a fact that there are numerous tools in the industry. However, these are not well adapted to fit the different environments that they could be exposed to. 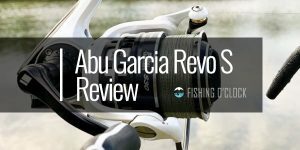 This is the reason Shimano came up with the Socorro SW, a series of spinning reels that are specifically meant for saltwater expeditions. The Socorro SW has numerous features that include the HAGANE gearing system that ensure they last for long in salty waters. 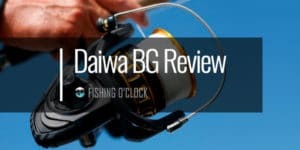 This article seeks to expound more on the features, pros, and cons of the Shimano Socorro SW. 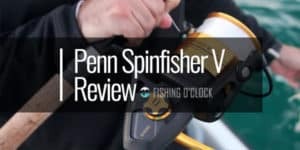 This device is solid and constitutes of a well-built reel which has no frills. The Socorro SW was released in 2016 which shows that it is a modern device. 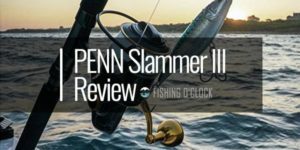 It is ideal for both inshore, offshore and nearshore anglers as well. It has a stunning design which is combined with a sturdy cold forged aluminum spool. These materials make the device perform with power while at the same time ensuring that the weight is evenly distributed throughout the body. Besides, its lightweight ensures that you go on with your activities without fatigue. 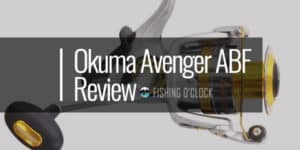 Shimano has stated that this spinning fishing reel fits both the beginner as well as the professional angler. The Hagane Cold Forged gearing system is fitted in this device, and it facilitates a good overall performance. It works by allowing a more precise gear that is more consistent to function through the cold-forging process. While it leads to smooth gear, it also ensures that the gear is strong and operates optimally in salty water. It is critical to note that cold forged aluminum drive gears have been found to be stronger than even zinc die cast gears which are utilized in the systems of competitors in the range of the Socorro SW. This device will, therefore, ensure that you go on with your expeditions, day in day out while offering the same level of performance. Shimano also made use of the X-ship technology in the alignment of the gears. The manufacturer makes use of a bearing on each end of the pinion gear. This offers support which ensures that the gear is well aligned at all times. In most devices, a major challenge has been the gears getting out of alignment in huge loads. This leads to the wearing of the gears at a faster rate and considering that it is salty water involved, you will likely end up rushing to the market to get another device. However, with the Socorro SW that has X-ship technology, this challenge has been kept at bay. 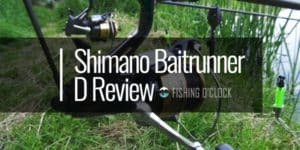 Shimano made use of a 4+1 bearing system. This in combination with the gear ratio of 4:6:1 make this device a beast in terms of power. It will lift heavy loads with ease which ensures that you do not struggle or experience fatigue easily. There is also the cross-carbon drag system. This is able to give rather smooth drag and consequently a top-notch performance. The cross carbon drag feature also allows for more drag settings adding to the flexibility of the user. 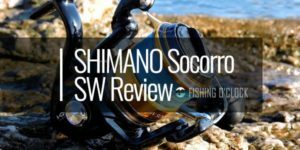 This system is a trademark of Shimano which shows that you are getting a unique performance from the Socorro SW. The cross carbon drag is equipped with a hatch pattern that facilitates a strong yet smooth drag that is essential specifically when dealing with species that tend to run fast with vigor. The above features cement this device’s place in the market. 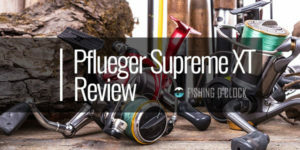 It is a powerful tool that will perfectly suit your saltwater fishing. It is well designed which makes it pleasing to the eye. When you combine this with cross carbon drag, the x-ship technology, and the Hagane gearing, you simply get the best. 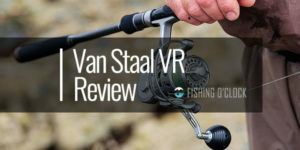 Shimano made this device for inshore and offshore fishing in salt water. However, the bearing system is not well protected, and this could lead to a fast wearing of the product. The manufacturer could have made use of shielded bearings or even those that have anticorrosion properties. 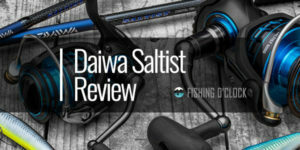 However, since Shimano states that the bearings are stainless, one would expect that they are specifically made to fit the saltwater bodies and do not affect the durability properties of the device. This device will produce noise during operation. However, this can be dealt with by the use of protective gear which ensures that your ears are not irritated. This is especially when having long expeditions. 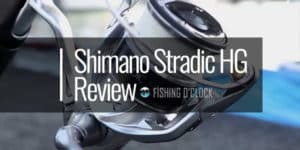 It is clear that the Shimano Socorro SW is an efficient device that will lead to good performances. It has numerous unique features which make it stand out from others in this range. Make sure to consider it in your next purchase.